A while ago Running Past looked at the links of Lewisham to its namesake suburb of Sydney, both in the name and through transportation. Another international link, of much longer standing, is to Belgium, more particularly the Flanders city of Ghent as the land that forms much of the current Borough was under the control of the Ghent Abbey of St Peters for several centuries. For the sake of historical accuracy, Flanders was a self governed part of France – the County of Flanders – during the period referred we’ll look at. The links have their origins in the late 9th century when Elfrida, or Ælfthryth (other variants are available), born in 877 and was the youngest daughter of King Alfred married Baldwin II, the Count or Margrave of Flanders in the 890s. In Alfred the Great’s will he left large amounts of land in Lewisham, Greenwich and surrounding areas to Elfrida. Baldwin died in 919 and was buried in the Abbey of St Peter in Ghent in Belgium; later the same year Elfrida gave her inheritance of “Lieuesham, Grenewic and Uulwic, with the meadows, pastures and woods” to the Abbey of St Peter for the welfare of her husband, sons and herself – and at various stages all of them were buried there – Elfrida in 929. The Abbey (pictured below on a Creative Commons) had been founded in the late 7th century and lasted as a monastic building until the end of the 18th century. 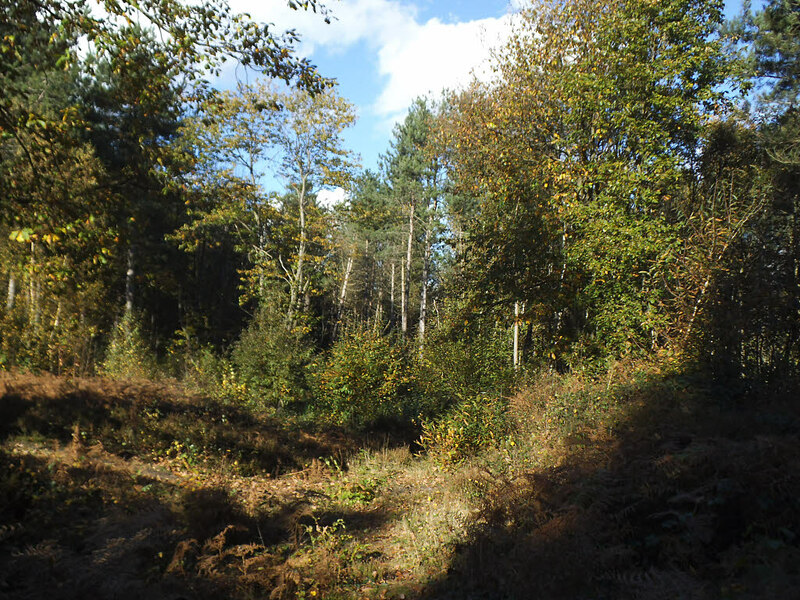 The Lewisham land was captured by one of the many Viking attacks in 1006 – despite the fortifications such as Faesten Dic (pictured below on a Geograph Creative Commons) part of which remains in Joydens Wood on the Bexley Dartford Borders). Edward the Confessor promised to restore Lewisham to The Abbey of St Peter, but was not able to do so until he became King in 1042. In 1044 a charter was given to the Abbot of Ghent confirming the rights granted in 964 along with a slightly wider area and rights to hold court. The power was retained after the Norman invasion as William’s wife Mathilda was a descendant of Elfrida. The Domesday Book describes Lewisham in 1086 – the image is via Open Domesday. 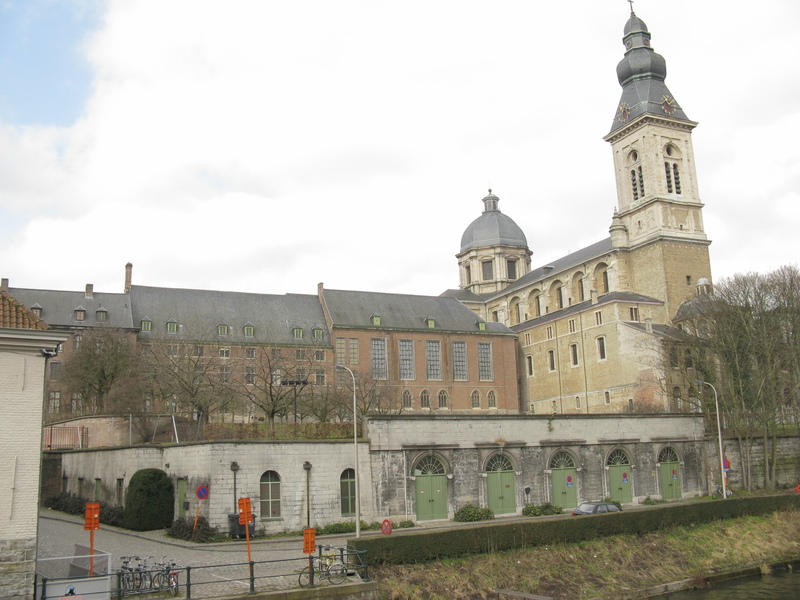 The Abbey of Ghent was also noted as Tenant in Chief – this denoted holding land directly from the king, rather than another nobleman, it denoted great honour, but also carried the responsibility of for providing knights and soldiers for the king’s feudal army. The rights were extended slightly during the reign of Henry I (1100-1135) to include sole right of hunting and the right to establish a market in Greenwich, although by this stage the local possessions other than Lewisham and Greenwich seem to have been transferred to others. During the reign of Henry I there was another invasion, rather than being from the east of the North Sea and a late Viking incursion, it was from the east of the Quaggy and the Manor of Lee. The Lord of the Manor, Robert de Baunton seized Lewisham and Greenwich. There were a series of Papal decrees, decisions by Henry I and threats of excommunication heading towards Lee which stressed the rights of the Abbot of St Peter’s in Ghent. It appears then that a lease was granted to Robert de Baunton for Lewisham and Greenwich for the sum of £25 a year. The charter for this was held in a Devon country house but this was then destroyed in a fire and there was a subsequent case two generations later that was due to be heard before King John (1199 to 1216). It the end it was settled out of court for a payment by the Abbot to the Lord of the Manor of Lee. The rights of the Abbot were confirmed by Henry III (1216-1272). It appears that the land was subdivided by the Abbot into a number of Manors – Bankers, Brockley, Catford, Bellingham, Shraffolt and Sydenham – more on them at some stage in the future though. During the Hundred Years War (1337 – 1453) various monarchs seized ‘alien Priories’ and then returned them during lulls in the fighting. However, the seizure became a permanent one in 1414 when Henry V (pictured via Creative Commons) permanently seized all this land. So ended Belgian control of Lewisham after almost 500 years. Lewisham was only to remain in Crown ownership for a year before being transferred to the newly established Sheen Priory in 1415, the year of Agincourt. 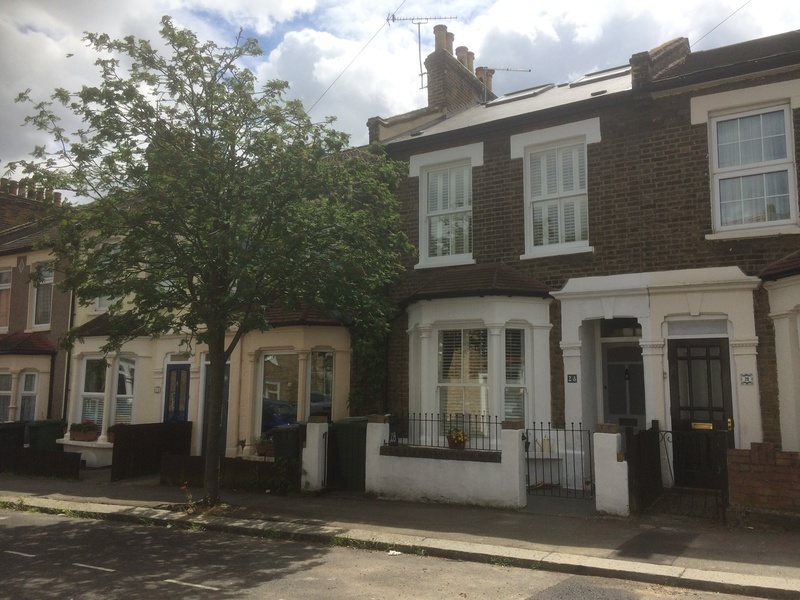 More recently, there were links to Belgium during the First World War; Deptford was initially home to some Belgian refugees in the early stages of the War – their arrival provoked anti-German attacks there. More importantly, hundreds of young men from Lewisham served in Belgium during the War, with many never returning. Forty two young men from Lewisham, along with another 7 from the New South Wales namesake, are remembered on the Menin Gate in Ypres (pictured below on a Creative Commons). 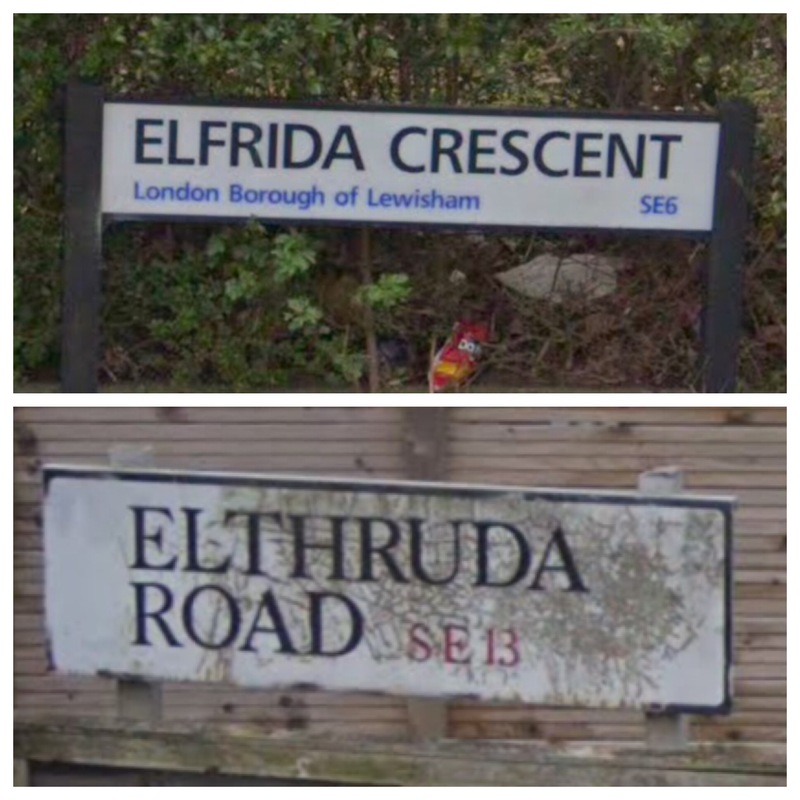 The final street on the list takes us almost full circle back to the original Belgian link – Elthruda is one of the variants of Elfrida who gave the Lewisham to the Abbey of St Peters in Ghent. This entry was posted in Lewisham History and tagged Abbey of Ghent, Alfred the Great, Domesday Book, Elfrida, Flanders, Ghent, Lee, Lewisham, Robert de Baunton on March 7, 2019 by Paul B. So pleased that you are making this ancient connection mor widely known. I wrote an article about it for the Journal of the Greenwich Historical Society in 2010. Can send to you as a PDF if you would like to see. Thank you for your well researched and written blogs – our local history reaches a new audience. Thank you so much Julian – I’ve e mailed you!